Israeli occupation forces on Saturday evening came down heavily on paramedics onboard an ambulance that was transferring a Palestinian patient in the central occupied West Bank province of Ramallah. 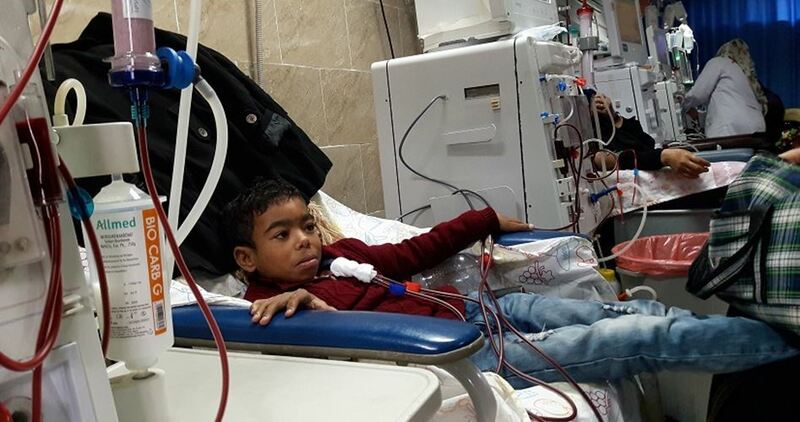 According to the Palestinian Red Crescent, Israeli soldiers stationed at the crossroads of Ein Siniya village, north of Ramallah, obstructed the movement of an ambulance carrying a sick Palestinian civilian and assaulted the paramedics who were onboard. 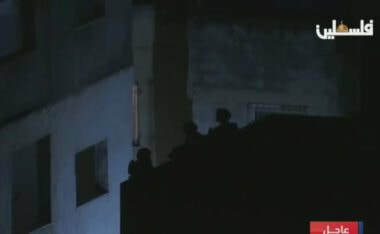 The occupation soldiers subjected the paramedics and the ambulance to intensive searches. 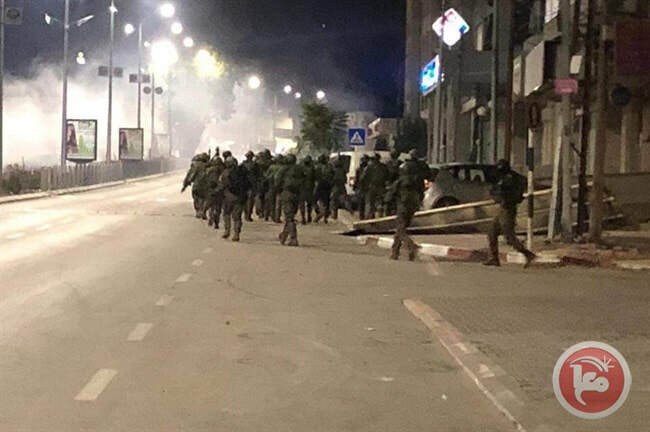 Israeli occupation forces have imposed a total closure on the city of Ramallah since last Thursday following an anti-occupation shooting attack that left three Israeli soldiers dead. Several Palestinian patients at the Palestinian Medical Center in Ramallah City, in the central occupied West Bank, suffered severe tear-gas suffocation due to the heavy tear-gas fired by Israeli forces in the area on Saturday. Head of the medical center, Dr. Ahmad al-Beitawi, condemned the direct and indirect targeting of patients and Palestinians inside the Palestine Medical Center, saying that it violates all international laws and statues. Meanwhile, the Palestinian Minister of Health Jawad Awwad said that he sent urgent letters to international health organizations, the World Health Organization, the International Committee of the Red Crescent and other human rights organizations to immediately intervene to provide safety to Palestinians, medical teams, ambulances and health centers. Clashes have been ongoing in the Ramallah and al-Bireh district as Israeli forces are still searching for a Palestinian who had carried out a shooting attack, killing two Israeli soldiers, two days ago. Israeli forces also blew up a Palestinian family building, earlier Saturday, which resulted in clashes between Palestinian protesters and activists and Israeli forces in the area, during which Israeli forces heavily fired tear-gas bombs. A Palestinian elderly woman died, on Saturday evening, of a heart attack while inside the Al-Aqsa Mosque in occupied East Jerusalem, after Israeli forces prevented ambulances from reaching her. 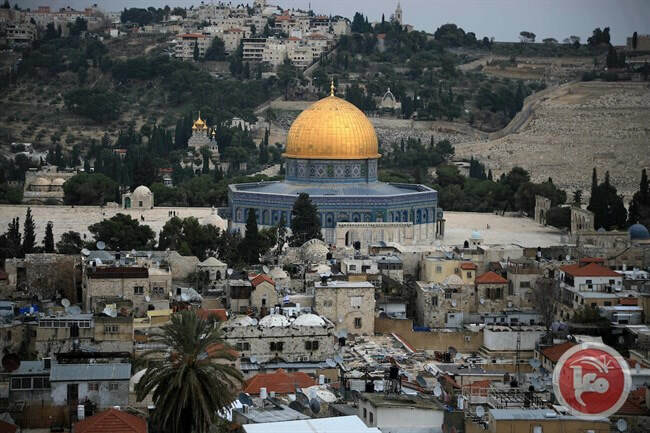 The Palestinian Red Crescent said, in a statement, that medics at Al-Aqsa attempted to provide aid to the elderly woman after she had lost consciousness while inside the mosque, and called for an ambulance to transfer her to a hospital. 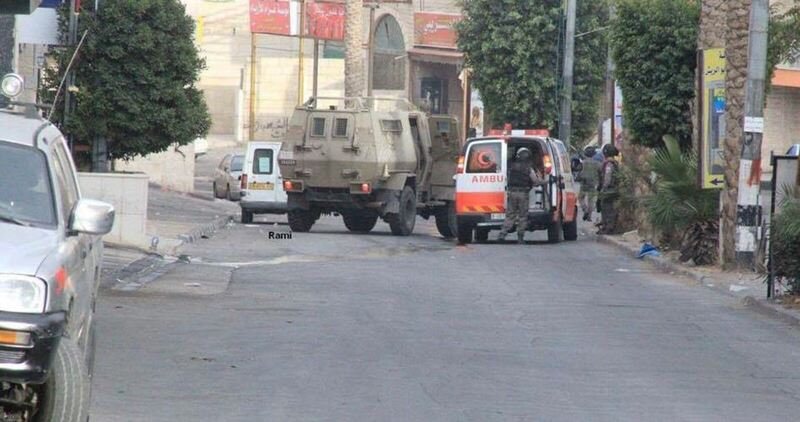 Israeli forces reportedly prevented the ambulance from reaching the woman for around 8 minutes. The woman was identified as Sumayya Mahmoud Nasser, 68, from the Jit area in Palestinian lands occupied in 1948. At least 60 Palestinians were injured by Israeli forces' live fire during clashes at the eastern borders of the besieged Gaza Strip, on Friday afternoon. Palestinian protests had gathered at the eastern borders of Gaza. Israeli forces opened live fire and tear-gas bombs targeting Palestinian protesters. Israeli soldiers opened fire, Friday, at a Palestinian ambulance, transporting a patient to a hospital, just as the driver approached an Israeli military roadblock, north of al-Biereh, in central West Bank. 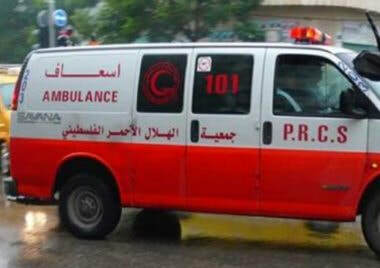 The Palestinian Red Crescent Society (PRCS) has reported that its ambulance was approaching the military roadblock, installed at the entrance of Beitin Palestinian village, north of al-Biereh, while transporting a patient from Deir Dibwan village, to a hospital in Ramallah. It added that the soldiers instantly opened fire at the ambulance, forcing the medics to turn away and try to find another road. The Red Crescent said that attack did not lead to any injuries, and strongly denounced this serious Israeli violation of basic human rights, the Geneva Convention and various international resolutions. Israeli occupation authorities have issued a decree barring the Palestinian Ministry of Health from importing vaccines, starting from the beginning of the year 2019, said Undersecretary of the Ministry of Health, Dr. Asaad Ramlawi. In an interview with the official Voice of Palestine radio station, Dr. Ramlawi said that the Israeli decree has put the supply of vaccinations at risk; the Ministry of Health has resources for just two months of vaccine provision, after which there will be a serious problem if the issue is not resolved. They are in contact with the World Health Organization (WHO) and the United Nations Children’s Fund (UNICEF), in order to address the issue. According to UNICEF, the Israeli government is bringing into force laws that have existed since 1986. Ramlawi condemned the decision, pointing out that since the Palestinian National Authority (PNA) took office in 1994, there have been no problems with the issue of vaccinations, and that much has changed since the establishment of those laws, 32 years ago. Ramlawi said that the Ministry of Health, together with WHO and UNICEF, are working hard to make a case for the rescindment of this decision. They are in contact with several other nations, enlisting their assistance and asking that they put pressure on Israel to allow the importation of vaccines into Palestine. The Undersecretary of the Ministry of Health pointed out that a lack of vaccination will result in the spread of disease, not only in Palestine, but in the whole of the region, putting millions at risk. Occupation authorities have decreed that vaccines can be imported from just ten countries worldwide. However, the ten nations listed do not have an interest in vaccine production, and therefore do not have the required certificate for such from WHO, which means that the Palestinian Ministry of Health cannot import from them, in any case. Ramlawi noted that, for the past 18 years, the Ministry of Health has successfully achieved 100% coverage of the area with vaccine provision, resulting in eradication of those diseases which are vaccinated against. The decision by Israeli occupation authorities puts this achievement and the health of children everywhere, at risk. 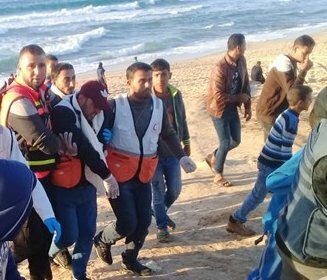 Al-Mizan Center for Human Rights has affirmed that the travel restrictions imposed by Israel on the movement of Palestinian patients from and to the Gaza Strip caused the death of eight of them. According to report released by al-Mizan Center, three of those patients died as a result of Israeli restrictions during the current year. The Israeli occupation forces also arrested during the current year one patients and four companions after they were granted travel permits. The Center strongly denounced Israel’s persistence in imposing travel and movement restrictions on Palestinian patients in the occupied territories and Gaza and carrying out arbitrary arrests against them after giving them permits. The Center stressed that denying patients access to hospitals violates the international humanitarian law, and called on the international community to intervene to end Israel’s violations against the rights of Palestinian patients and work on enabling them to have access to hospital and medical treatment. In Gaza Monday, hundreds of Palestinians gathered at the beach in the northern Gaza Strip and headed out to sea on fishing boats bearing signs, banners and Palestinian flags for the 19th weekly protest against the Israeli naval blockade on the coastal Strip. They were almost immediately met with gunfire from Israeli naval ships stationed just off the coast. The naval officers gave no warning, but began firing on the peaceful protesters as they have every week for the past nineteen Mondays of protest. Among those injured Monday were a Palestinian paramedic who was hit with a tear gas canister, and a young Palestinian man who was struck with a live bullet while participating in the protest. Local sources report that the Palestinian protesters began their ‘naval march’ in the northernmost beach in Gaza, near the border with Israel. Before they could make it very far into the water, the Israeli forces used live ammunition, tear gas and concussion grenades to suppress the non-violent demonstration. Palestinians and international supporters have made numerous attempts to break the Israeli naval blockade, which was imposed in June 2007. Protests have also attempted to bring international attention to the plight of the people of Gaza, who are facing 60% unemployment and the impossibility of maintaining an economy and livelihood under the crippling Israeli siege. According to the United Nations Office for the Coordination of Humanitarian Affairs, “Israel has imposed movement restrictions on the Gaza Strip since the early 1990’s. Restrictions intensified in June 2007… when Israel imposed a land, sea and air blockade on Gaza, citing security concerns. In August, when the Boat March of Return began, one of the protest organizers, Adham Abu Selmeya, told reporters from the Reuters News Agency, “We want the world to see the reality of the blockade and the suffering of the people of Gaza, and we will not accept anything less than lifting the blockade once and for all”.